The municipal contribution to the prevention and maintenance of citizen security is a priority task of this council. That is why we want to carry out projects aimed at improving availability, improving services, increasing competitiveness, which will result in a better service for all Rifaleños by our local police. BREAKDOWN 1: REMUNERATION IN REMUNERATION FOR ATTENDANCE TO GOVERNMENT AND PLENARY BOARDS. The City Council-Plenary in ordinary session held on March 29, two thousand and twelve, approved to reduce the economic allocations of the members of the Municipal Corporation for attendance at the Governing Board by 25% and remove the economic allocations of members of the Municipal Corporation for attendance to Plenary. The 3 candidates for Local Police of the Excmo. 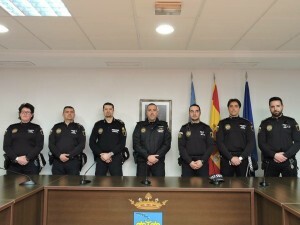 Rafal City Council have completed the theoretical phase of the “XLII COURSE OF ACCESS TO THE CATEGORY OF AGENT” and have begun their training period in Rafal on April 28, 2012, in accordance with what is established in Article 10.1 of Decree 88/2001 , Of April 24, of the Valencian Government.